Natural selection is very good at finding solutions to the challenges organisms face in varying environments. Often, selection acting on different species that face the same kind of environment will hit upon the same solution. However, when selection is limited by the differences among species, it solves the same problem in a different way for each species. That’s what CSUN Biology graduate student Danielle Amoroso and her thesis advisor, Professor Paul Wilson, found when they set out to compare adaptations to climate by some of California’s most distinctive native plants. Dudleya is a genus of succulent plants found across California, from the northern coast to San Diego. 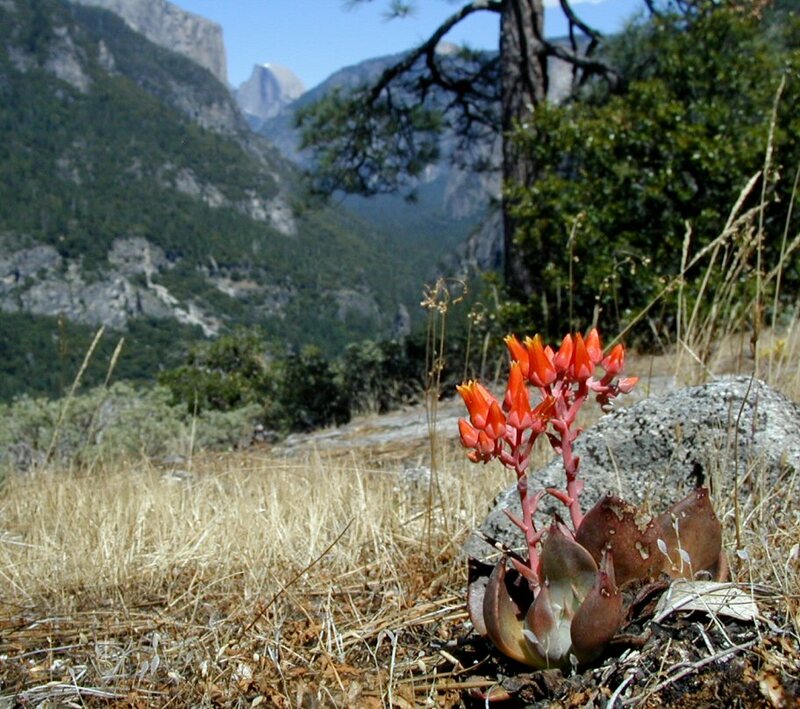 Dudleya grows in habitats as wet as the Bay Area and as dry as the Mojave Desert, and Amoroso and Wilson reasoned that life in wetter coastal habitats and drier inland habitats would be a prime opportunity for parallel adaptation. To test this hypothesis, they compared ten pairs of closely related populations of Dudleya — either two different species, or separate populations within the same species — as adult plants in the wild, and as seedlings grown in common gardens on the coastal campus of CSU Channel Islands and the more inland CSUN campus. Amoroso and Wilson measured the size of full-grown plants at the sites they sampled, and tracked the germination success of the seeds in greenhouse conditions, then the survival of seedlings in the two gardens. They expected that populations from drier habitats would grow to a larger size at maturity; that populations producing larger seeds would have higher germination rates; and that seedlings from populations in drier habitats would be more likely to survive in the inland garden. However, no population pair completely fit these predictions in the actual experiment. Amoroso and Wilson conclude that the twenty populations they studied have been more shaped by idiosyncratic local conditions than broad differences between coastal and inland habitats. The complete study is online at the website of the journal Systematic Botany, where it was recently published.